Basically, this module will show you how to get traffic to where ever you want to send it – be it your blog, squeeze pages, affiliate and CPA links, your own products or services… Where ever really. But not only that, but this traffic is REALLY FAST, as in, you’ll get traffic as soon as today. And when you get traffic as soon as today… You’ll make sales and commissions as soon as today too! But that’s not all… It gets better, not only is this super fast (and targeted) traffic… It’s totally FREE to implement too. Yup that’s right, it’s free to do so it won’t cost you any money whatsoever to see results from this. Now I will say this. In the module itself. I do show you how to automate the entire process, and this does involve using some software that you’ll have to purchase. But if you want to automate the entire process and want to really ramp it up… Then grabbing this software will dramatically increase method tenfold. Anyway – I made a video all about the new traffic generating, money making module and you watch it right here. Quick heads up btw. Dunno if you saw this but I made a video recently and it was all about me adding updating and adding new modules to the Evergreen Wealth Formula. BUT! As I do add more modules to the EWF… The price will be going up, and the price rise will have quite a jump in the ol’ price department. I’m thinking of increasing the price to an additional $100… Maybe more. And trust me, it’ll be well worth it. Why? Well some of the stuff I’m adding will make anyone – regardless of experience – a lot of money VERY quickly. In fact, the module I was talking about at the start of this post, you can literally take that and use to make money today. Yup that’s right. Not tomorrow, next Friday or next week… TODAY! So as you can see, these strategies are worth every penny because you can quickly recoup the cost of the EWF in a matter of days then start profiting from that point onwards. Well here’s the crack. 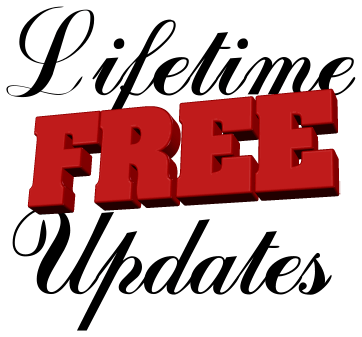 Everyone who grabs the Evergreen Wealth Formula before I put up the price, not only do you get the EWF at it’s bargain price, but you’ll also lock in all the modules mentioned in the post, plus every other module I add. It’s your call but if you’re sat on the fence, hummin’ and arrin’ about joining then my advice to you is; join now – otherwise you’ll have to pay later… A lot more, in fact. You can lock in at the price, plus all the new modules as and when they come out here. Anyhow – here’s that second video that goes into it more. So if you wanna see it… Check it out. I am thinking of getting this Forever Wealth Formular, but not sure if there’s any upsell or costs o traffic. Please PM me. Thanks. When you say Forever Wealth Formular… Do you mean the Evergreen Wealth Formula? If so, there’s NO upsets whatsoever. Everything you need training-wise, plus all the websites and scripts you need are included in the course. And you can either use them as if or edit them to your liking… Your call really. 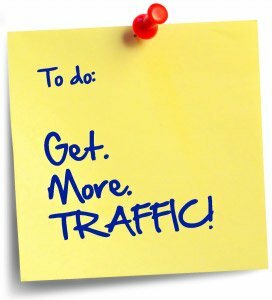 Traffic wise – It’s mostly free traffic methods but there is one in there that you pay for. Obviously, you’ll be on my list and if you want to speak to me personally, just reply to one of my emails and I’ll get straight back to you.